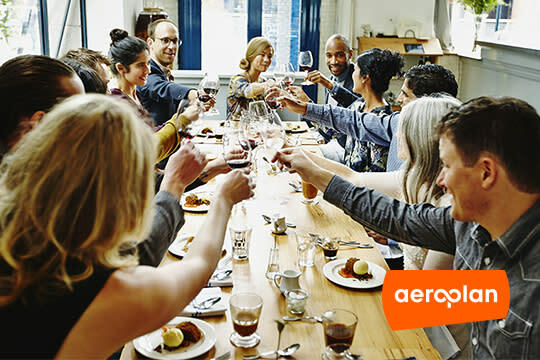 At Aeroplan, we know that great food can bring people together. That’s why we are pleased to be the Premier Partner for Dine Out Vancouver Festival and Presenting Sponsor of the Vancouver World Chef Exchange. To make the dining experience even more memorable, we’re offering Aeroplan members great benefits such as advance reservations, special privileges at select restaurants and other surprises, allowing members to share precious moments with their loved ones. More details to come shortly on aeroplan.com. Not a member? Enroll now to get access to these benefits too! If you’re visiting Vancouver and are planning a nights stay at a hotel, or need to rent a car to get around town, we’ve got you covered. Earn miles easily with our travel partners and start planning your Dine Out Vancouver Festival experience. Plus, don’t forget to use your Aeroplan-affiliated financial card to earn miles towards your travel plans #withAeroplan.